The loudspeaker manufacturer hopes the purchase will improve its global business operations. Indianapolis, IN–Klipsch Group Inc., the parent company of Klipsch Audio Technologies, has completed the acquisition of Canadian speaker manufacturer, Audio Products International Corporation (API), makers of the Mirage, Energy, and Athena Technologies brands. Klipsch Group is the parent company of Klipsch Audio Technologies, Jamo International, and API Brand, with companies remaining independently operated entities. The product design and engineering of the API brands will also remain separate to maintain their respective unique character and personality. 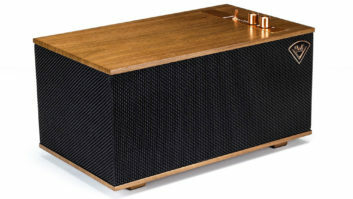 Nonetheless, the Klipsch, Jamo, and API brand teams will work in a cooperative fashion to develop global technology platforms and product strategies that leverage investments in R&D ensuring the Klipsch group of brands stay on the cutting-edge of product, technology, and brand development.